They do that intentionally, sadly. Their idea is to cover more space with less cheese. It’s their way of being cheap asses. Is this a repost too? were you checkin out my choose two? They actually do that to encourage you to pay for more cheese. that is the reason. 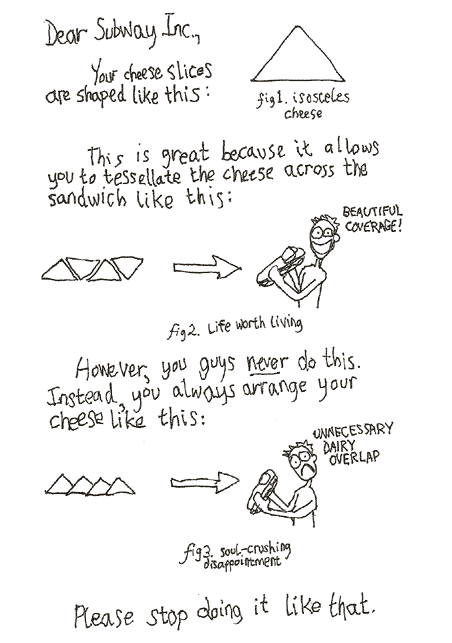 Ask them to stack the cheese that way, it’s not hard. I worked at a subway for about 3 years and we were never told to stack it one way or the other.